Once again, there will be family-friendly activities at the Park for walkers to enjoy, vendor tables to visit with opportunities to network, and light refreshments will be available. Walkers have the opportunity to join our fundraising efforts in support of this Walk directly online via the CNY Autism Society's Firstgiving site. Please feel free to create teams and collect donations; however, this is not a requirement to register and participate in the Walk. 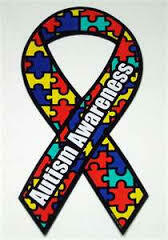 As always, our main goal is to raise awareness of autism and its related disorders in our community.